Posted: Wednesday, June 10, 2015. 4:54 pm CST. Wednesday, June 10th, 2015. 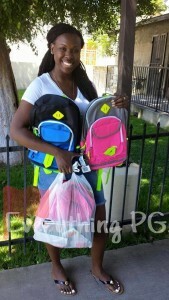 BMG: Native of Punta Gorda and resident in Los Angeles, California, USA, Kimone Flores, also known as “Justice PG Gyal”, is promoting her annual drive to donate 500 schoolbags to children attending school in P.G. and across the Toledo District. Flores operates a Facebook page called “Everything PG” to promote the beauty and diversity of the southern coastal town. The drive has become a big success and an annual occurrence. 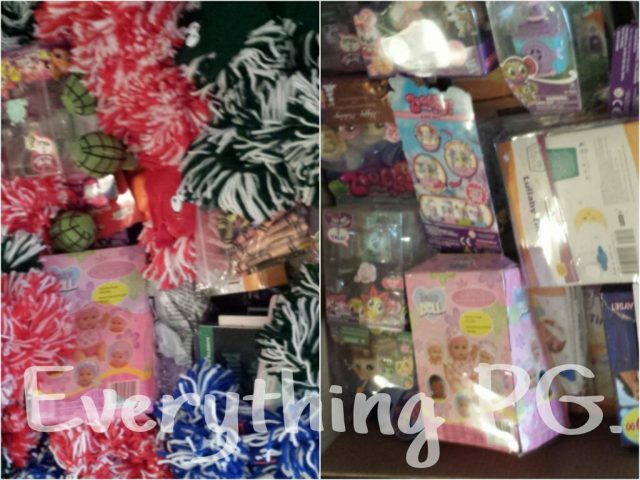 This year, the drive has expanded to include toys for students at the Anglican Preschool near the P.G. Town Center, handed over yesterday to some excited youngsters. The principal of the preschool extended her gratitude to Flowers and said that the toys were educational ones that will definitely help the students to advance intellectually. For those living in the U.S that would like to contribute, Kimone’s mailing address is: Kimone Flores, 5270 Avalon Blvd, apt#2, Los Angeles, CA 90011. She can also be found on Facebook for additional information at ‘Justice PG Gyal’ or ‘Everything PG – Punta Gorda’.